A little Ninja “Nin-Nin Boy” gets a hustle on very much! 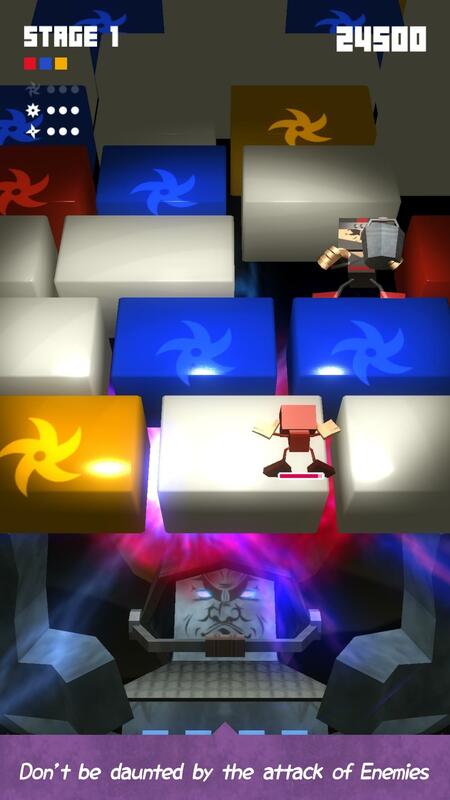 An exciting action puzzle game that will capture up the cubes comes up! 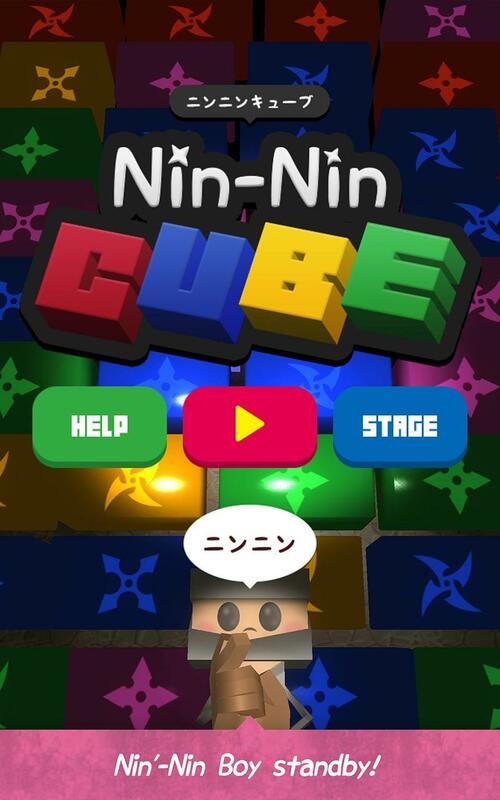 The mission of the Nin-Nin Boy, capture the "wall of the cubes”. Decisive factor of capture is “the judgment and the instantaneous force”. Let's compete on reflexes and brains! 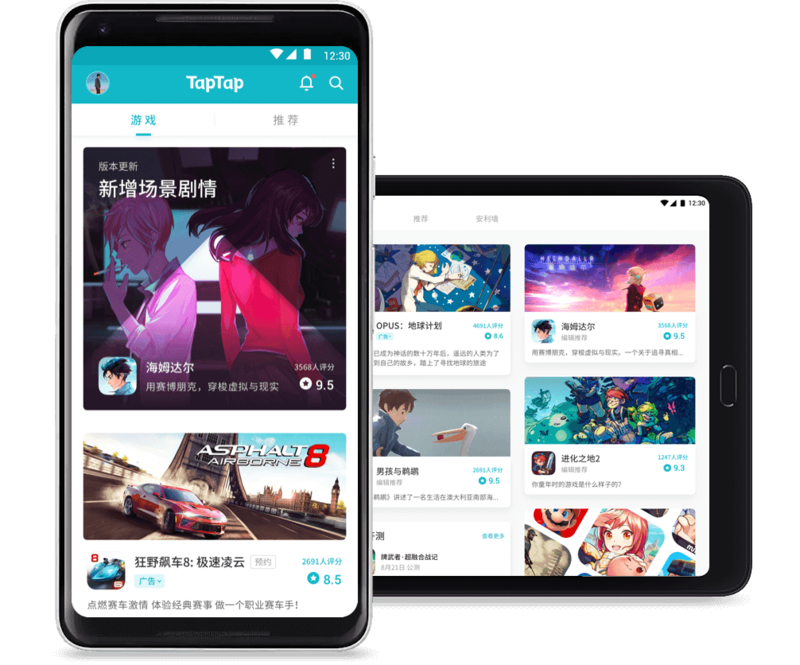 •Tap on the right side, Jump Above. 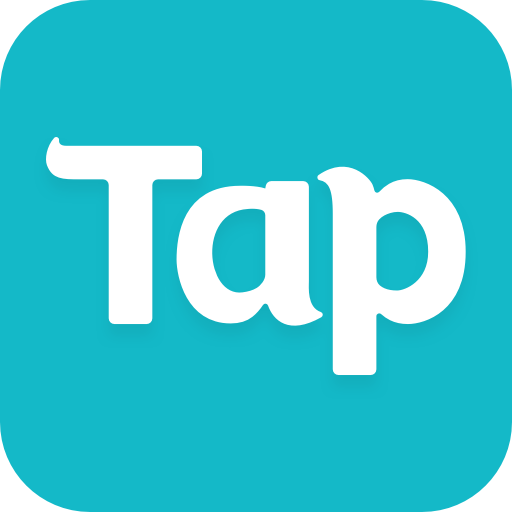 Tap on the right side, move right and left. 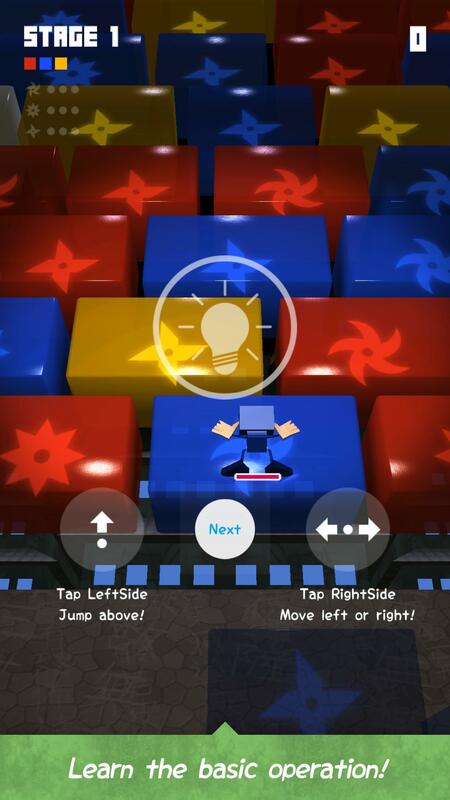 •Long-press on left side and release, jump two-cubes. If you want cancel, drag, below or above. •Mysterious wall to protect weird "the cube castle" is composed of the color cubes, they have "Shrunken mark" in each other. 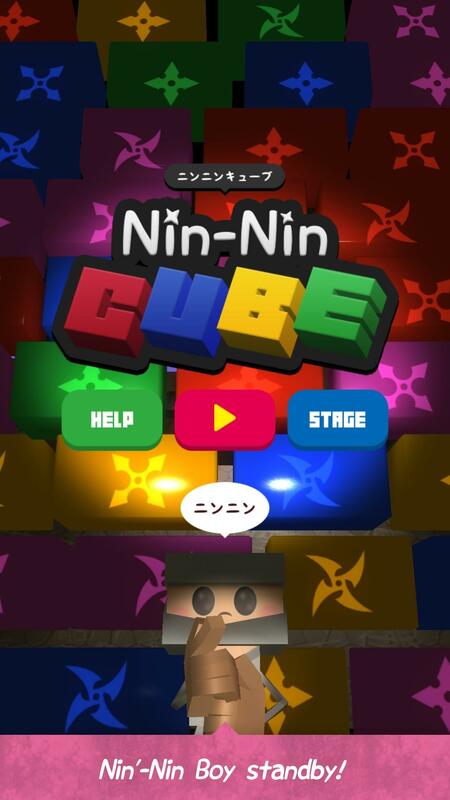 •Nin-Nin Boy will discoloration to the color of the cube, using the “way of color change" in the first landing. •It is safe, when jump to the the same color of cube. •Furthermore, it is Bingo if it is the same mark! •if three continuations bingos, it is “one mark get”. •Stage Clear, if you get all marks stage left upper. •Let's quickly jump, because if Nin-Nin Boy lands cube disappear become transparent. •White cube is the safety zone, which does not become transparent, but be careful, because the color of Nin-Nin Boy is discolored by magic. 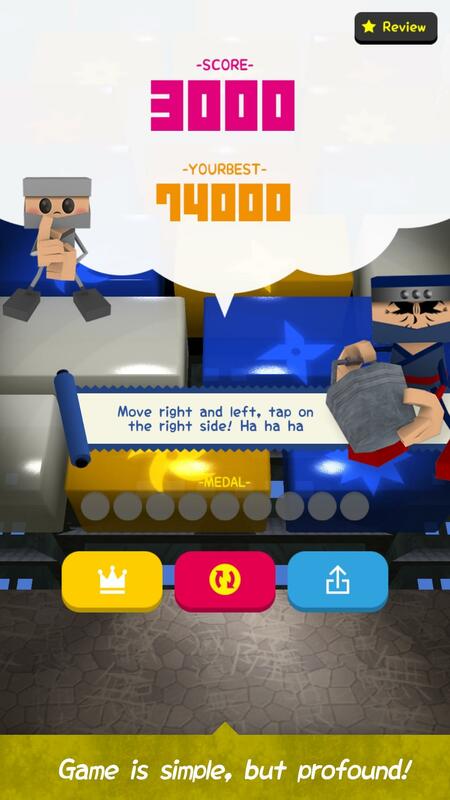 •Enemy of clone Ninja will come launch a variety of attacks on each stage. •When an attack makes a hit, life decreases and becomes the game over by life Zero. Now revved up to start! 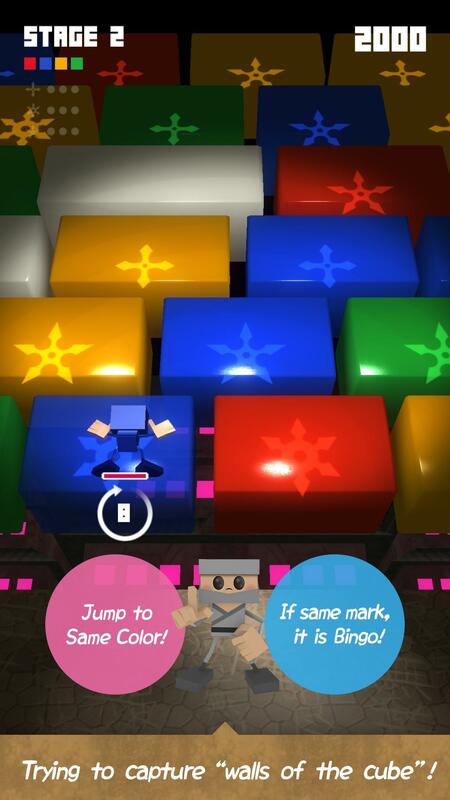 •This is the action game that anyone can enjoy by simple operation. • Can enjoy the thrill in immersive performance using 3D characters. 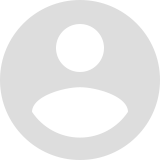 •Can experience the exhilarating feeling, short time play in gap time. •Game is free, can play with confidence, because no charge. •Game Center support. 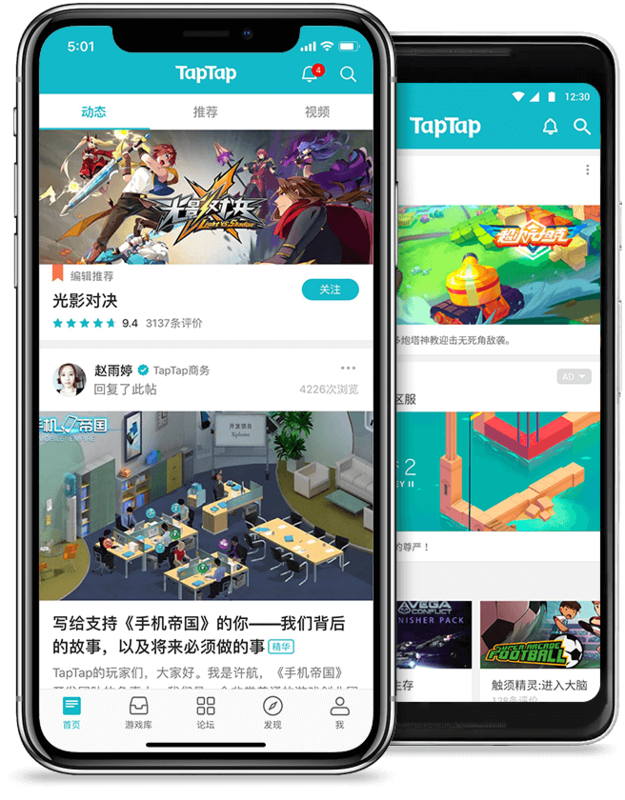 Can compete for players and score around the world.